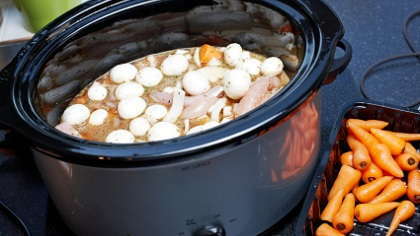 Crock pots are a great solution for busy people who still want to cook. Ever wondered what you want to make for dinner, but didn't actually want to cook? This easy recipe let's you make a great meal without much actual cooking. Step 1-Rinse chicken breasts. Put salt, pepper and paprika on both sides. Place in crock pot. Mix other ingredients together. Add to crock pot. Cook on LOW all day. Serve over noodles, rice, or mashed potatoes.